Free UPS drop off services. Getting shipments where they need to be safely and on time is something we’ve been doing for over a decade. Not only that, but we offer the most comprehensive range of domestic and international shipping services with earlier delivery to more cities and more countries than anyone else. 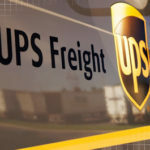 UPS is also the world’s largest customs broker, and run the world’s ninth largest airline. For domestic and international shipping, you can rely on UPS at Neighborhood Parcel near Lowell MA to deliver where and when you need. Neighborhood Parcel is a great option for saving money on your next shipment, they offer packaging services, expert guides, and international shipping service assistance. They also feature a great way to drop off your Amazon, Zappos, Walmart pre-paid returns. Neighborhood Parcel is Authorized Shipping Center serving Tewksbury, Lowell, Dracut, Wilmington and Andover MA. 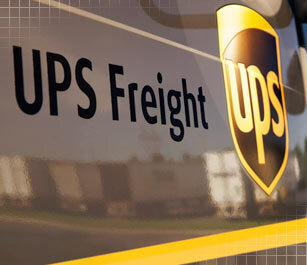 We offer Domestic and International shipping services through UPS Air and Ground Freight Services. 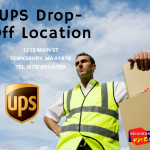 Our convenient location in Tewksbury MA will help you package and ship your merchandise to anywhere in the U.S or to over 220 worldwide destinations.